Persons who receive and make payments in different currencies (e.g., receive funds in EUR and make payments in USD) are exposed to exchange rate fluctuation risk. For the purpose of management of this risk, the Bank offers currency exchange forwards, currency swaps and currency options. Forward agreement is a transaction whereby the counterparties (you and Swedbank) undertake to buy or sell currency on a given future date at an agreed price. It provides a possibility to hedge against exchange rate changes with regard to both potential loss and potential profit from exchange rate fluctuations. You know that you will need to buy or sell currency, but you don’t know what exchange rate will be at that time and how it will affect the cost price of your goods or services. set an earlier or later date for execution of the forward agreement, if necessary (see currency swap). By concluding a forward agreement you hedge against exchange rate fluctuations and save time, because you don’t need to continuously follow the currency market. By concluding a forward deal you are exposed to risk that due to unfavourable exchange rates changes in future you will have to execute the transaction at the rate lower than the market rate and lose potential profit. In order to conclude a forward you need to enter into an agreement for derivative financial instruments traded on regulated markets (master agreement) and agreement for electronic services at the nearest Swedbank branch. In order to conclude a forward you need an account with Swedbank. The Bank imposes limits on transaction amounts. If you have no limit, you can conclude a forward agreement by providing collateral. The collateral amount is determined on a case-by-case basis and depends on the amount and term of the transaction. The transaction can also be concluded via ‘Traderoom’ electronic trading channel. Currency swap is a transaction whereby the counterparties (you and Swedbank) undertake to buy or sell currency at the beginning of the transaction and to execute an opposite transaction on a given future date at an agreed strike price. A transaction of this type is recommended when your payments in a certain currency are made earlier than you receive inflows in that currency or when you want to change the settlement date of other currency transactions. The dates of your inflows and outflows in a certain currency differ? set earlier or later dates for settlements under other currency purchase or sale transactions. By concluding a swap you receive currency X in exchange for currency Y which you temporarily don’t need. After the transaction the currencies are exchanged back. You don’t need to execute two separate exchanges of currencies. By concluding a swap deal you are exposed to risk that due to unfavourable exchange rates changes in future you will have to execute the transaction at the rate lower than the market rate and lose potential profit. In order to conclude a swap you need to enter into an agreement for derivative financial instruments traded on regulated markets (master agreement) and agreement for electronic services. In order to conclude a swap you need an account with Swedbank. The Bank imposes limits on transaction amounts. If you have no limit, you can conclude a swap deal by providing collateral. The collateral amount is determined on a case-by-case basis and depends on the amount and term of the transaction. Currency option involves the customer’s right, but not the obligation, to buy or sell currency at an agreed price at any time during the transaction term. When concluding a currency option the customer pays to the Bank a commission – premium which depends on the transaction term, selected exchange rate and exchange rate fluctuation interval. When this currency risk management instrument is recommended? A currency option is recommended when you want to hedge against exchange rate fluctuation risk while retaining the possibility to yield on exchange rate changes. If the exchange rate fixed during the transaction term does not satisfy you and the currency can be purchased or sold on the market at a more favourable exchange rate, you will not have to exercise the right to buy or sell. refuse to execute the transaction. A customer who concludes a currency option can buy or sell currency at any time during the transaction term. The costs of the currency option will not exceed the paid commission – premium and potential yields will depend on exchange rate changes. In order to conclude a currency option you need to enter into an agreement for derivative financial instruments traded on regulated markets (master agreement) and agreement for electronic services. In order to conclude a currency option you need an account with Swedbank. Limit order is an agreement between the Bank and a customer whereby the customer instructs the Bank to buy or sell currency when market rate reaches the level requested by the client. The customer may cancel the order before its execution. have it executed at any time – during and after business hours of the Bank. In order to conclude an option you need to enter into an agreement for derivative financial instruments traded on regulated markets (master agreement) and agreement for electronic services at the nearest Swedbank branch or by calling to us. In order to conclude an option you need an account with Swedbank. Customers who have taken loans with variable interest rates (e.g., depending on EUR LIBOR) risk to pay more for their loan when market interest rates start rising. Entities should carefully assess the interest rate fluctuation risk in order to determine at what interest rates they can and should borrow and how to avoid higher borrowing costs. Interest rate fluctuation risks may be managed by using derivatives. Interest rate swap (IRS) is a transaction which allows hedging against rise or fall of interest rates in terms of both possible losses and possible gains due to interest rate fluctuations. The Bank and the customer agree to exchange interest rates whereby one of the counterparties pays fixed interest and the other counterparty – variable interest (e.g., EUR LIBOR). Avoid loss and hedge against potential yields resulting from exchange rate changes. By using an IRS you risk that due to unfavourable changes in interest rates you will have to pay higher interest or receive interest lower than the current market interest. In order to conclude an interest rate swap you need to sign the Master transaction agreement and the E-service agreement. 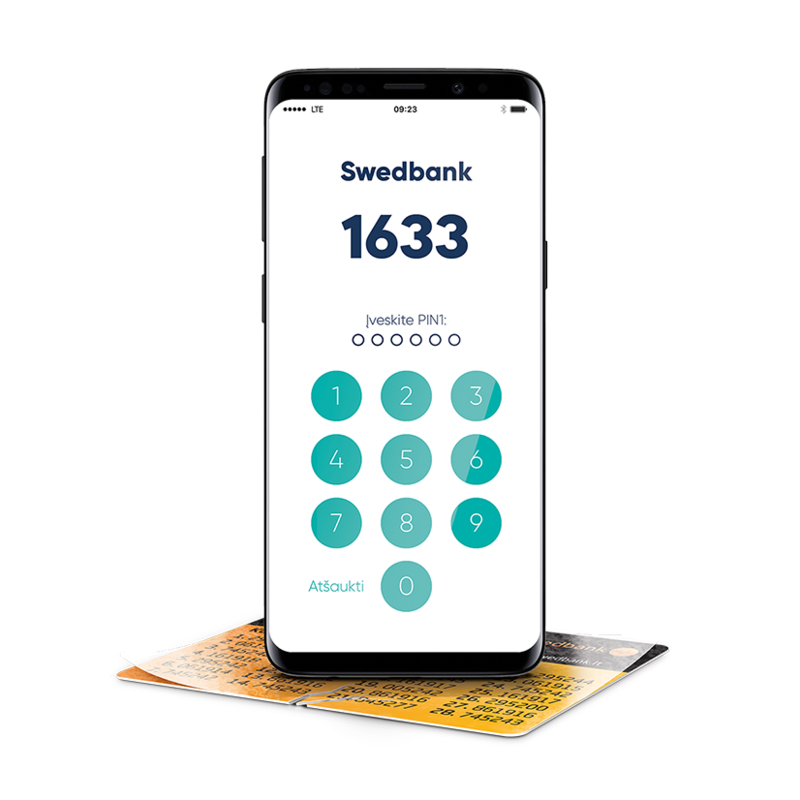 You need an account with Swedbank. The amount of transactions is subject to the established limit. If you have no limit, you need to provide collateral in order to conclude an interest rate swap. The amount of collateral in each case shall be determined separately and depends on the transaction amount and maturity. Minimum transaction amount – EUR 1 million. You have a loan with variable interest, i.e. EUR LIBOR + margin. You want to hedge against interest rate fluctuation risks. When an IRS is concluded, variable interest is changed into fixed interest. The Bank and the customer agree to exchange the interest rate difference: the Bank will pay to the customer variable interest (EUR LIBOR), and the customer will pay to the Bank fixed interest. The customer who concludes an IRS continues paying to the Bank interest on the loan, i.e. EUR LIBOR + margin. If LIBOR fluctuates below the fixed interest rate, the customer pays to the Bank the difference between LIBOR and fixed interest rate; if LIBOR rises above the fixed interest rate – the Bank pays this difference to the customer. When LIBOR rises, the Bank reimburses to the customer the higher interest paid on the loan. In the event of fall of LIBOR the customer will have to pay higher interest than the current market interest. Cap option is a transaction between the Bank and the customer whereby the seller (the Bank) begins paying interest to the transaction buyer (customer) when LIBOR market interest rate rises above the agreed cap rate. The buyer concluding a cap option pays to the seller the commission – premium. Choose the desired cap interest rate. The customer who purchases a cap option hedges his loan against rise in interest rates. When during the respective period LIBOR exceeds cap interest rate, the Bank begins paying to the customer a difference between LIBOR and cap interest rate. The customer can choose the cap interest rate himself; the lower is the cap interest rate, the higher is the commission. No payments are made if LIBOR does not rise above the cap interest rate. In order to conclude a cap option you need to sign the Master transaction agreement and the E-service agreement. Floor option is a transaction between the Bank and the customer whereby the seller (the Bank) begins paying interest to the transaction buyer (customer) when LIBOR market interest rate falls below the agreed floor rate. The buyer concluding a floor option pays to the seller the commission – premium. Choose the desired floor interest rate. The customer who purchases a Floor option hedges the borrowed funds against fall in interest rates (where his return depends on changes in LIBOR). Where LIBOR of a respective period falls below floor interest rate, the Bank begins paying to the customer the difference between LIBOR and floor interest rate. The customer can choose the floor interest rate himself; the higher is the floor interest rate, the larger will be the commission. No payments are made if LIBOR does not fall below the floor interest rate. In order to conclude a floor option you need to sign the Master transaction agreement and the E-service agreement. Collar option is a transaction for hedging against interest rate fluctuation risks consisting of cap and floor options one of which is purchased and the other – sold. When market interest rate fluctuates between the cap interest rate and the floor interest rate chosen by the customer himself, no payments are made. When market interest rate rises above the cap rate or falls below the floor rate, payments are made under the cap and floor options. In order to hedge your loan free of charge against rise in interest rates, you need to purchase a cap option and to sell a floor option. Where LIBOR of a respective period rises above the cap interest rate, the Bank begins paying to you the difference between LIBOR and cap interest rate. Where LIBOR of a respective period falls below the floor interest rate, you start paying to the Bank the difference between LIBOR and floor interest rate. The highest interest rate to be paid by you on the loan having concluded a collar option is the cap interest rate. If LIBOR drops below the floor interest rate, you will have to pay interest higher that the current market interest. No payments are made when LIBOR is between cap and floor interest rates. Derivative financial instruments are solutions allowing to hedge against fluctuations in prices of commodities, securities, exchange rates and other financial assets. Using these instruments you will be able to plan your income and expenses precisely. Futures contract is an obligation to buy or sell a certain amount of underlying financial assets (securities, currencies, equity indices, interest rates, commodities, etc.) at an agreed price on a given future date. A customer buying and selling a futures contract pays to the Bank the transactional fee which depends upon the stock exchange where the particular futures contracts are traded and on the quantity of purchased or sold contracts. the last trading day of a futures contract. benefit from leverage effect – the collateral value is smaller than the value of the underlying financial asset at that time and, therefore, you can generate higher yields or incur greater losses than when directly investing in the selected financial instruments. By concluding a futures contract you risk that due to unfavourable future changes in the underlying financial asset’s price you will have to execute the contract at the price that will be lower than the market price and incur losses. In order to conclude a futures contract you need to enter into an agreement for derivative financial instruments traded on regulated markets, for intermediation services and for electronic services. In order to conclude a futures contract you need an account with Swedbank. The Bank imposes limits on transaction amounts. If you have no limit, you can conclude a future agreement by providing collateral. The collateral amount is determined on a case-by-case basis and depends on the amount and term of the transaction. Futures contracts may be concluded by legal clients. Customers engaged in business related with securities, trade in commodities (oil products, metals, wheat, wood, etc. ), securities, currencies, interest rates, etc., can obtain insurance cover against changes in prices of the underlying financial assets. Upon purchase of a certain futures contract to hedge against the increase in the price of the underlying financial asset, the futures contract of the same type has to be sold until its expiry. Where the price of the underlying financial asset actually increases, income received from the futures contract will cover the costs of the purchase of the real financial asset (oil, metals) at a higher price. Where the price of the financial asset falls – you will incur a loss from the futures contract which will be compensated by the purchase of the real financial asset at a lower price. You purchase an OMX 30 Index futures contract expecting the equity index to rise. If the equity index rises by 10% you earn 50% from the invested amount (collateral was SEK 20 000 and return – SEK 10 000), but if the equity index drops by 10%, you will incur a loss of 50% of the invested amount (collateral was SEK 20 000 and return – SEK 10 000). Return and loss of a futures contract is unlimited! Option – a transaction involving the right, but not the obligation, to buy or sell a certain quantity of the financial asset (securities, currencies, equity indices, interest rates, commodities, etc.) at an agreed price on a given future date. A customer buying an option pays to the Bank a commission – premium. benefit from leverage effect – the premium rate is lower than the value of the underlying financial asset at that time and, therefore, you can generate higher yields or incur greater losses than when directly investing in the selected financial instruments. When buying an option you risk that due to unfavourable future change in the financial asset price you will lose only the premium you have paid. When selling an option you risk that due to unfavourable future change in the financial asset price you will incur losses exceeding the received premium. In order to conclude an option you need to enter into an agreement for derivative financial instruments traded on regulated markets, for intermediation services and for electronic services. Stock index grew up by 20 % in 12 months period. Stock index fall down by 20 % in 12 months period. A customer, who buys a call option on purchase of Swedbank East European Equity Fund after 12 months, pays to the Bank the premium of 9.5% from the transaction amount. The option will be profitable if the fund’s value rises by more than 9.5%. If the fund’s value goes up by 20%, the customer will earn 120% on the invested amount (premium paid was EUR 1 805 while profit – EUR 2 195). If the fund’s value drops below EUR 19, the customer is not required to exercise the option’s right to buy the fund for EUR 19. In such case, the client loses only the paid premium of 9.5%, i.e. EUR 1 805. Profit or loss from the option may be registered earlier, i.e. before the last day of the transaction.